“Game industry ecosystem” is such a buzz word I’ve been hearing for a long time. I heard it every once in a while in various contexts, the most common use of the word is “Our ecosystem is weak but improving” I think even I gave this automated response to journalists a few times. I live in Turkey by the way. A semi-european, semi-middle eastern country but I believe we have a similar situation with a lot of other countries. I want to analyze the outcomes of so called “weak ecosystem” for different stakeholders of the industry and the challenges associated for such environment then I will come up with my own ideas to overcome these challenges. It seems that we need to separate “global ecosystem” from “local ecosystem”. During the last 10 years the importance of local ecosystem decreased due to the use of internet, shared knowledge, free tools, global summits, yet it did not expire. I will talk about 5 different stakeholders that more or less form the sector. These stakeholders are developers, studios, investors, universities and government. I don’t believe market is one of these stakeholders for the local ecosystem, because market is global in most cases. I’m going to discuss the interaction of these stakeholders with the local ecosystem. We might as well say “developers of developing countries” or even “developing developers of developing countries”. Anyway. 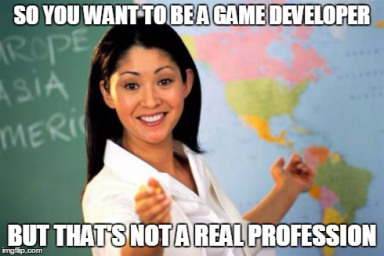 It’s pretty hard to find experienced developers in a weak ecosystem and that puts the whole system into a vicious circle as you can’t develop quality games and you can’t educate junior developers without experienced ones. This gap opens further if the guy has 5 years experience and so on. Most of the developers seek an opportunity to move to Western Europe or North America but only the most talented ones can go. This means when a studio finds a gem, they won’t be holding it for long enough. It’s also very difficult to convince a foreigner to come. Another pitfall is the lack of alternatives. A friend of mine that worked long years in California once told me: “when you’re hiring a new guy to the team, you gotta ask the opinion of every existing team member for the new guy. If even one of them has a slight concern that he/she won’t be getting along with the rest of the team, you shouldn’t hire.” That rule would hardly work in a weak ecosystem. The motivation of developers drop dramatically when they are alone in the ecosystem. The internet definitely decreases this feeling of solitude but when a developer can’t get a real appreciation they lose their drive. This is often the case for programmers, nobody understands what they’re doing therefore nobody appreciates. The good thing about developers is that almost all of them are very smart and well educated. They represent the bright part of our society and they have the potential of changing the status quo and breaking the vicious circle of weak ecosystems. -You should offer them a nice career path and help them find a job in a bigger studio if they’re looking for it. Nobody would like to become a shader artist or an AI programmer if there is no other vacant job for that area in your country unless they know you would help them to find another job when they need it. It is actually a good thing to have a few of your former team members to work in big studios, because they will probably return to you in a few years as more experienced and loyal team members. -You need to find them mentors and help them improve themselves. -You need to learn more about the technical stuff to be able to appreciate your programmers. -You need to learn to get along with every type of personality and work extra hard to create a team synergy, because you don’t have the luxury of firing a guy simply because he’s misbehaving. -Firing someone should be the very last resort. There are much more indie developers than there are team and studios in a weak ecosystem compared to a strong ecosystem. Also these studios are less crowded and they open and close much faster. 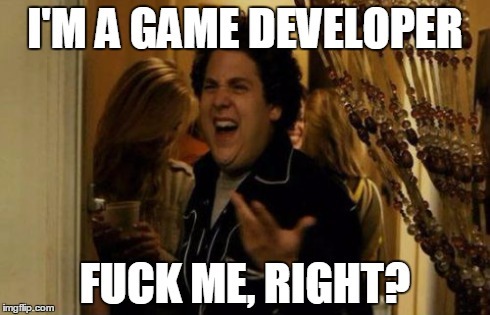 More than half of the game development studios I have seen made one or two games and closed. Anything else than mobile development is quite rare as well. The most common mistake I see in these inexperienced teams is that they tend to under emphasize some parts of the development process or the marketing. 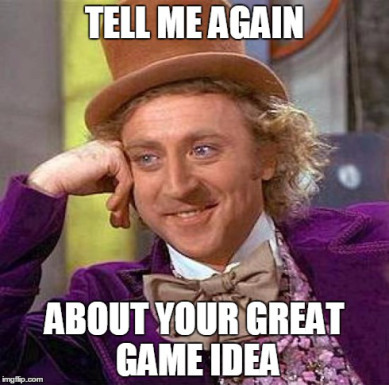 A few programmers and artists team up and they don’t realize they know nothing about game design. Another example is my own studio, we make a 3 year long project and we release it without proper testing. A quite large number of studios abstain from sharing their knowledge and keep their development process top secret as if they are going to change the world. There is an artificial competition between studios making games with different genres and markets. 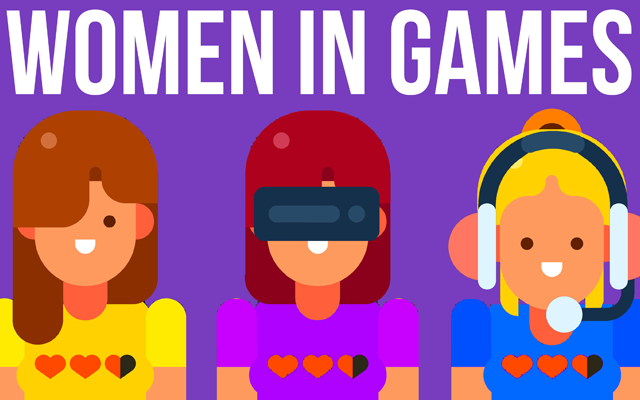 Very few game studios are founded by veterans from the game industry. Most of them are started by people working in a software/IT company or an advertisement company. It is also very common for kids fresh out of college with rich parents give way to game startups. Flat organizations are very rare. Lead positions are not well defined and they don’t have much authority, usually the boss makes all the decisions. 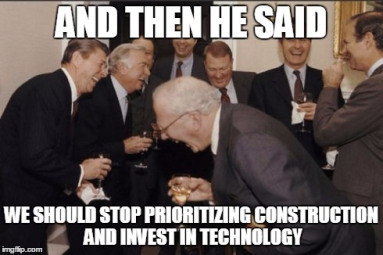 There are lots of planning/management fails. I should give another example for my own studio: While planning Monochroma, we didn’t think about animations at all. It turned out that animations are one of the most difficult parts of the development, we had to do whole animations 3 times from scratch. Epic fail. Low salaries are the biggest advantage of game startups. In Turkey a simple asset production task costs 1/3 of what it would cost in North America. It’s a huge weapon in the hands of game startups. They just have to use it wise. So what do I do to overcome these problems? I tend to labor intensive development of game development. I’m leaning towards cinematic adventure games where you need tons of assets, a beautiful art direction and an immersive story. I try to know as many studios as I can and ask them about their problems and tell them mines. I also try to learn from my mistakes, use a flat organization where everyone has responsibilities and an authority over what they do. I try to get as many feedback for my decisions and double check everything. We started an organization, Oyunder, where studios can join and share their knowledge, make some network, get feedback and learn from other studios mistakes. We organize networking events and conferences. It’s been quite effective already and we started to see the rewards. Together we stand, divided we fall. 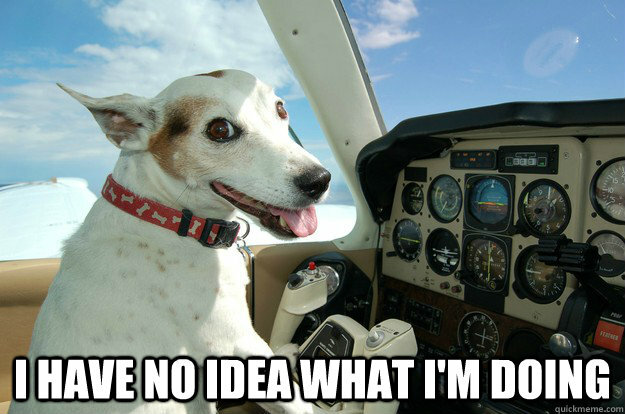 Fundraising seems to be the most difficult part of starting a game business in weak ecosystems. Lately the only ones benefiting from tech funds are e-commerce startups. Even then investment models are very safe and patronizing. Angel investors take control 50% of the company for ridiculously low prices from very bright entrepreneurs in return of sharing their network and knowledge. Unfortunately for game industry, they don’t have any knowledge or network to share. Every once in a while a game startup finds an investment, usually through friendship or family but it ends up with big disappointment. Knowing about these failed projects other investors choose to stay away from the industry. Seeking help from foreign investmet, startups realize that foreign angel funds usually prefer to make investment in their local area and fundraising via publishers are much harder than earlier years of game industry. Finding a contract work is pretty hard way but still it seems to be an easier way than seeking investment. Some game startups lose their focus while doing advertisement work and software projects as game related contract work is rare. Tech grants, garage startups and self investment are the remaining solutions for fundraising. Success stories and detailed industry analysis are needed to attract the attention of investors. Our game developer association Oyunder is establishing a center of research of game industry in Istanbul, Turkey. My own strategy to exit this vicious circle consists of applying for tech grants, building a pipeline, producing a few tech demos and looking for investment abroad. I am planning an HQ somewhere in Europe or North America and the asset production will be made in Turkey. As there is no strong industry to shape the public view about game development, game business or games themselves, public opinion are coming from click-bait news such as “another guy died from playing video games straight 17 hours” or “gamer guy killed his whole family”. Games are a very bad habit if not dangerous in the eye of the conservative society. Professors are not much different than common public. Creative students are forced by their parents and their schools to work in IT or advertisement. Hopefully not all of them obey. Some good things are happening as well. Lately, in Turkey a few master classes are opening up purely for game development and there is a full graduate program coming up soon. I believe this will change the scene dramatically. Personally I try to be connected with all the universities within my reach and assist them but we need more than just individual efforts. In our association Oyunder we started a pilot project for game development clubs in high schools. We’re encouraging universities to open courses related to game development or at least make it part of the existing courses. We also gathered the academic people interested in game industry and helping them start a journal for game-related academic thesis and essays. Government view of games and game development often reflects the public view. Games and game development are somehow related with all the government institutions and as there is no defined strategy nor a centralized body for the topic, there are many random, interesting laws, bans and subsidies according to the level of knowledge of the bureaucrat assigned for the task. Sometimes there are unbelievably good opportunities and sometimes it’s a total mess. For example while ministry of finance is starting a great subsidy that offers 50% of the platform commission back to the developer, he forgets to list all the related platforms and the subsidy only covers mobile games. Unfortunately there is no authority that would define what is a “game” neither therefore it’s a real challenge for a mobile game developer to be eligible for the subsidy. Turkey gives huge bonuses to exporting companies in order to close the gap in the budget deficit yet they can’t understand if games should be a service or a product so they don’t offer anything special to game development. Because game development is listed under programming and programming is listed under IT and IT is a service. Similarly our trade office is the export office of metal miners. Metal miners? Because games are computer programs, computer programs runs on computers, computers are all wires and circuits and wires and circuits are processed metal. Why not? They can put you under food exporters if you want. Cyberparks are everywhere and it was told they were built to offer space and tax exemptions for technology companies and now they’re filled with IT operations that are mostly customer service of big companies and it’s impossible to find an empty office. On the positive, tech grants are applicable and can used as an accelerator. There are many subsidies to marketing campaigns of local games in global markets. I believe Turkey is doing much better than some other countries in that sense. At least there is a good intention but laws and regulations have a long way to help the industry. We need associations and lobbyist to work harder for a change. I don’t think everything is bad in a weak ecosystem. There are lots of different challenges and opportunities. We just have to learn to cope with them.